You've heard several versions of the "azaadi slogans" that sparked the "national vs anti-national" debate at JNU. Many termed the slogans seditious, claiming they demanded "azaadi" from the country. 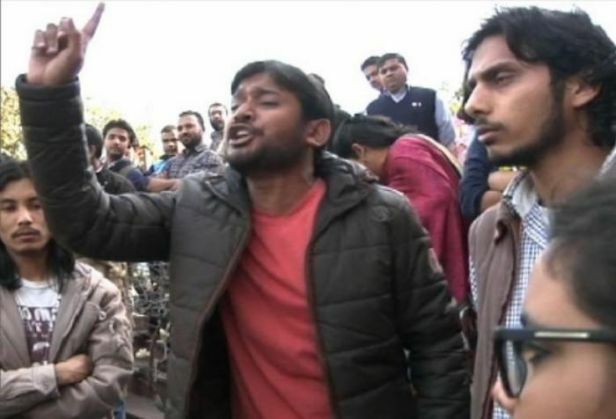 At the center of the controversy is JNU students' union president Kanhaiya Kumar who was arrested for allegedly instigating the "anti-national" slogans. JNU students have, of course, denied that anyone from their campus had raised the said slogans, least of all Kanhaiya. With the exception of the ABVP party workers on campus, everyone else has maintained that the "azaadi" slogans are not new to the campus. They have also clarified that the slogans were not meant to be interpreted as a demand for freedom from India. We want freedom, and we will get it..do whatever you want. The dubstep, created and shared by the YouTube channel Dub Sharma, has been widely shared on Facebook and Whatstapp. For those still not convinced, here's the footage that sparked national outrage after a doctored video was aired on a TV channel. Whether or not you agree with the slogans, good luck trying to get the dubstep version out of your head.